Schedule time for planning. When we don’t plan, we often spend our time reacting to other people’s priorities and taking on whatever is closest or loudest. Plan your work so you intentionally move toward your goals every day. It’s OK to turn your email off while working on important projects. You can set the auto-response to something like, “I’m in the office today, checking email periodically. If your matter is urgent, please call me at… “. This helps you train people how to treat your time and what to do if they really need a response from you. Recognize and control your time-robbers. Whether they are imposed by others (people standing in your doorway to chit chat), or self-imposed (checking email obsessively), recognize whether that activity is helping or hindering you to accomplish what you need to. Shift when necessary to put yourself back on track. When someone asks you if you have time, and you don’t, try saying something like, ​ “I’m working on a high priority right now. 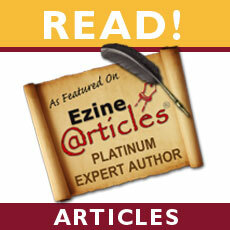 Check back with me at 3:00… or after Tuesday…”, or whatever truly works for you. When you respond to a situation or person, consider whether that activity is urgent (because they’re standing in your doorway), or important (because it helps move you toward your goal). 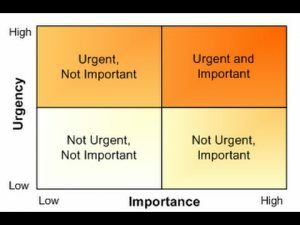 Take a few minutes for this quick exercise… Put your daily activities into one of these boxes to create awareness of how you are spending your time. Then, rearrange those tasks to represent your ‘ideal state’. How do they compare? 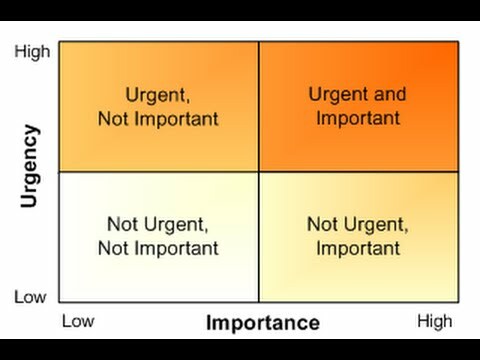 Personally, I try to spend most of my time in the “important/not urgent” quadrant. It creates less stress and gives me the greatest movement toward my end game.